It was a genuine Toronto real-estate street fight. Police were called to calm tempers after realtors who had camped out for days to land units in a new condo building got into angry skirmishes when the developer recognized just one of three rival lineups. It was the fall of 2009 and the city was still recovering from the global economic meltdown. It had been a year since a major high-rise project had launched in a sluggish real-estate market. The unexpectedly strong demand for the development, known as X2, marked the return of Toronto's unquenchable thirst for condos. 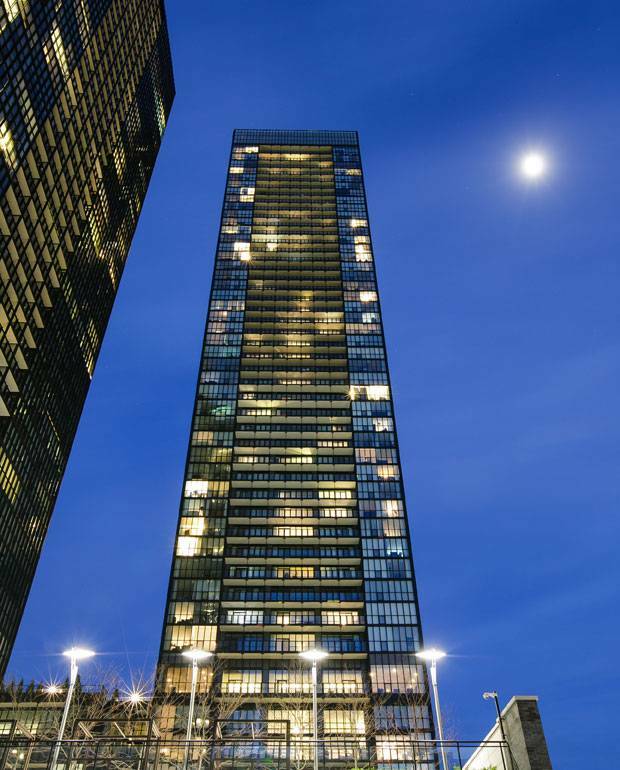 More than seven years later, the black-framed, 49-storey glass tower stands tall in the sky at 101 Charles Street East – near the busy downtown intersection of Yonge and Bloor – as the region's housing market has plunged into another crisis, this one centred around affordability. In all kinds of ways, the building on the former site of a pizza chain's headquarters is like many others in the city. Values have skyrocketed, and units there change hands at a brisk pace, as in much of the rest of Toronto. Profits are high, just like in other prime developments. More than half the building's 558 suites are being leased, and rents have jumped, as they have in many other downtown condos. The Globe zeroed in on X2 after an analysis of real-estate transactions across the region that changed hands again within two years. Taken as a microcosm of the city's investor-driven real-estate market, the project illustrates many of the forces that have sparked a housing frenzy that the province is now trying to calm. 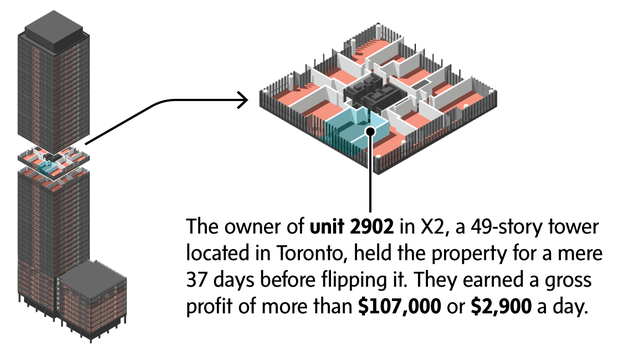 The Globe and Mail examined more than 1,000 transactions in the building, from preconstruction sales to rental offerings, to understand the economics behind condo flipping. The results reveal the potential for lucrative gains – almost $500 a day, on average – and support analysts' concerns that investors and speculators are buying and selling condos just like stocks, driving up prices, crowding out first-time buyers and creating unstable rental housing. Stand in the opulent lobby of X2, with its large gas fireplace, and a stream of stylish young professionals files past the watchful concierge. The hallways on the floors above are eerily quiet, and the suites, ranging from 400-square-foot bachelors to a handful of 1,500-square-foot two-bedrooms, feature contemporary fixtures and appliances and, in some cases, stunning views. They also offer jaw-dropping profits. "There's a lot of opportunity within real estate," said Susan Tavana, a 34-year-old mortgage broker who owns a two-bedroom, two-bathroom corner suite that she rents out for $2,500 a month. "I've done quite well." Ms. Tavana is now selling her unit for $699,000 and is hoping for a six-figure profit. The suite, which she bought in 2013, was her fourth in a total of eight downtown condo purchases. In all, she now owns four units, two of which are for sale; she has also bought two others that haven't been built yet. "It was always good, in my experience, to have at least one or two rental properties that you're going to hold over the long run." 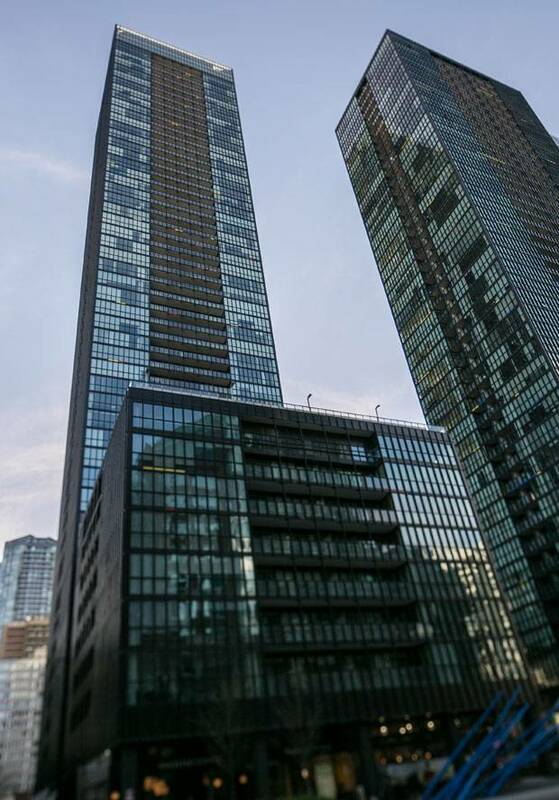 In the two years or so since X2 buyers took possession of their condos in early 2015, some 21 per cent of units sold again – or flipped, which, loosely defined, involves a property being resold within 24 months of the initial purchase. This suggests a sizable presence of investors and speculators in the building. Analysis of data from Teranet, which runs the province's land registry, revealed that X2's flippers reaped average gross profits of $126,398 – or $478 for each day they held the property. Before developers Lifetime Developments and Great Gulf even registered X2, speculators sold at least a dozen preconstruction units on assignment, a practice by which a contract is transferred to another buyer before the deal closes. Known as "paper flipping," the transactions yielded, on average, $69,191 in gross profits. Assignment sales aren't publicly tracked, and realtors use a variety of means to market them, but The Globe found 12 by reviewing MLS listings. 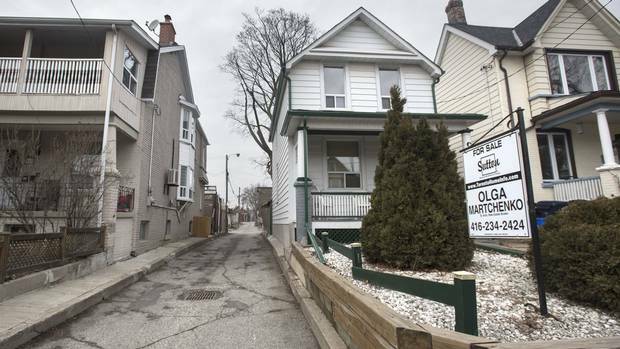 The province has vowed to crack down on the practice – Ontario Finance Minister Charles Sousa went so far as to call such speculators "property scalpers" – which analysts say is adding more uncertainty and risk to the market. Realtors queue up on Bloor Street West in November, 2008, waiting for a number so they can wait in line again later to purchase a condominium in the new X2 development. Inside a bachelor unit at the X2 condo building. 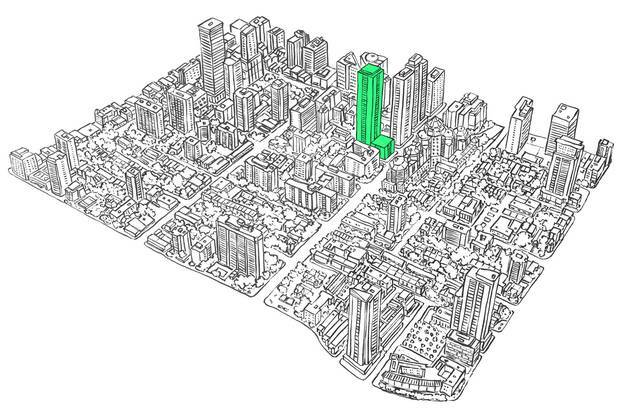 The building's developers did not engage in any "extraordinary efforts" to attract investors, said Danny Roth, a spokesman for the development partnership known as Lifegreat Developments Ltd. "We developed a project that was meant to appeal to end-users. Any investment-related decisions made by our purchasers were not the result of a conscious effort by the development team," he said in an e-mailed statement. Baker Real Estate – which specializes in marketing and selling preconstruction condos, and which handled X2's sales – courts investors, however, noting that preconstruction housing usually appreciates in value. By the time a building is completed, if you are an early buyer who made a deposit of just 20 per cent, you "have then made a substantial return on your investment of a down payment should you decide to sell immediately," its website currently says. In Toronto last year, 8.5 per cent of condo sales transactions were flips, according to Teranet. As the housing market has swelled, so, too, have the number of investors – a classic chicken-and-egg scenario. Last year, some 121,000 homeowners held more than one residential property in the Greater Toronto and Hamilton Area, more than double the 2006 figure, according to figures released by the provincial government. Many investors – especially foreign ones – favour condos for their overall lower prices and turnkey conveniences, which include negligible upkeep as well as on-site concierges and property managers. At X2, for example, Balance Residential Management, an arm of Great Gulf that runs the building, offers a tenant-management service to find renters, collect cheques and oversee repairs. The majority of the building's occupants are tenants rather than owners, a key indicator of significant investment activity. Almost 60 per cent of X2's 558 units were rented out during the last fiscal year, according to figures from Balance Residential Management. The Globe found several suites listed on Airbnb, despite a prohibition on short-term leases in the building. Instead of checking in at a downtown hotel, visitors can stay at X2 for $170 to $225 a night. There is no way to determine the share of foreign investors who own X2 units – until last month, the province didn't track citizenship on property sales. Mr. Roth said the developers "did not actively market X2 internationally." Ownership records reveal the building is broadly held, with just 20 people appearing to own two units each, with the rest holding single suites. The Baker Real Estate sales team "discouraged the sale of multiple units," Mr. Roth said. Though there's mounting evidence that speculators and investors are playing an outsized role in the city's condo scene, it is important to note that many buildings would not have even been built were it not for their deep pockets and early purchases. "They're the biggest segment that's driving the preconstruction" market, said John Pasalis, president of brokerage Realosophy Realty Inc. Developers typically offer their lowest prices early in a project to spur sales, given that they need to sell the majority of units before they can secure financing to begin construction. But it can take five or more years for a building to be ready for occupancy, too long for many first-time home buyers to wait. Investors have filled that gap and helped grow the housing supply in a city with seemingly endless demand. Those who gambled on the market in recent years have seen enviable gains. Prices for all types of homes, including houses and condos, in the Greater Toronto Area were up 25 per cent in April from a year earlier, despite now showing early signs of cooling, according to sales data from the Toronto Real Estate Board. Josh Gordon, a professor at Simon Fraser University who researches Toronto's housing market, said both foreign and domestic speculators are "fairly clearly overheating the market" in the city, creating supply shortages and fuelling bidding wars, panicked buying and skyrocketing prices. "There is a sense that prices are always going to rise, and so housing is seen as a foolproof investment for investors or speculators, and people in the population at large also come to see things that way and thus they kind of really overleverage themselves and get themselves into precarious situations," he said. While investments in condo developments such as X2 have been profitable for owners, their role in the city's future housing stability is open to debate. If a sizable portion of the housing stock is controlled by investors seeking profits, not accommodations, what happens when the market shifts? Investors' heavy interests in condos has turned those properties into de facto modern-day apartments, given the near-absence of purpose-built rental units in recent years, said Jennifer Keesmaat, the city's chief planner. But turnover in such a tight market, where many tenants have faced huge rent increases and low vacancy rates, can lead to precarious housing situations. "If someone owns a unit and wants to rent it out, that's great in terms of adding to rental supply. But it's a very vulnerable form of rental supply, because it's not protected in any way," she said. "And the minute you have something happen, like what's happening today with the hotness of the market, you see those units becoming unaffordable or they're getting sold and the rental supply is decreasing very quickly and creating really a pressure-cooker environment with the low, low vacancy rates." As well, some renters whose units are sold find themselves pushed into home ownership that they can ill afford, Ms. Keesmaat said. "It's destabilizing and it's a disincentive for people to rent. You see people, even though they maybe shouldn't be, taking on an astronomical level of debt in order to own a home because a home is seen as stable." In addition, investors' interests have shaped the type of units that make up the city's housing stock, creating an overabundance of small, one-bedroom condos rather than larger, family-friendly suites. 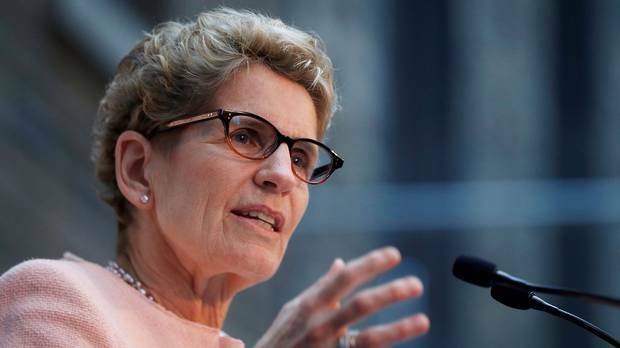 Faced with escalating concerns about runaway price inflation, Ontario Premier Kathleen Wynne's government jumped in to cool the housing market last month with a package of 16 reforms, including a 15-per-cent tax on foreign buyers, expanded rent controls and a pledge to allow certain municipalities to tax vacant homes. Prof. Gordon cast doubt on the effectiveness of those measures, calling them "timid" and arguing that the non-resident speculation tax has so many loopholes that it appears "designed to fail." He also noted that the province opted not to crack down on speculators with a targeted levy on those who flip properties within a short period of time. "Because they didn't do those types of things which might suggest price depreciation in the near term, they didn't fundamentally alter the dynamics." For their part, X2 residents can see how the market has changed just by looking down their hallways. Few, however, are bothered by the periodic waves of people moving in and out (other than having to endure longer elevator wait times). Most say that they appreciate the building's central location, responsive management and above-average amenities, including a rooftop pool, well-equipped gym and yoga classes. 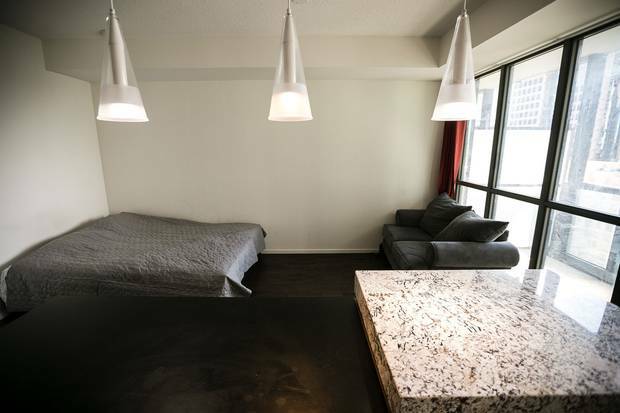 "The convenience is kind of what everybody really likes and people love to talk about that," said David Colin, a 25-year-old personal trainer and yoga instructor who, with a roommate, rents a two-bedroom, two-bathroom unit for $2,375. "People are really friendly in the building." Still, in many respects, X2 feels more like a hotel than an established residential complex. Visitors can be heard in the lobby asking where to find the gym. 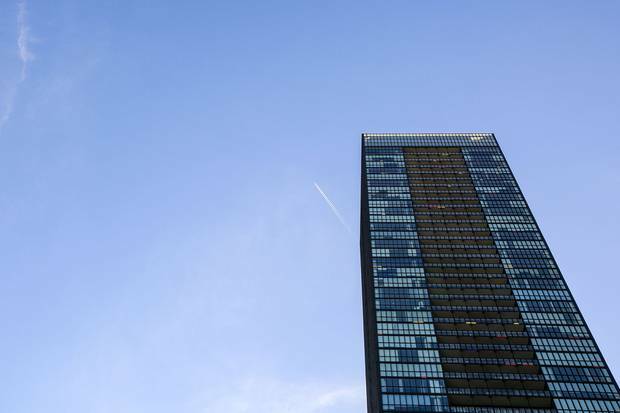 In addition to cracking down on Airbnb rentals, building management is also introducing new security measures; on one recent morning, a superior harangued a security guard for allowing an unauthorized person to enter the building. Outside on the street, the impact of investors is even more evident. Several megacondo towers have sprouted in X2's immediate vicinity, each one seemingly taller than its predecessors, like trees competing for light. The half-complete Casa III promises 56 floors and a lobby furnished by French luxury retailer Hermès. Nearby, The Manhattan, a stately but weathered two-storey apartment building, is marked for demolition, to make way for a 47-storey tower. An understated City of Toronto placard announces: "A change has been proposed for this site." Jill Mahoney is a national reporter at The Globe and Mail. Matthew McClearn is a data journalist at the newspaper. To better understand the impact of speculators in the GTA housing market, The Globe and Mail turned to Teranet, which manages Ontario's land registry. We requested 2016 data on home sales involving properties that had sold twice within a 24-month period, grouped to relatively small geographic areas called census tracts. We mapped that data, which allowed us to identify neighbourhoods with elevated levels of apparent flipping activity last year. (We've defined flipping as selling a property after owning it for less than two years.) Although Teranet's data revealed no noteworthy geographic patterns, X2's neighbourhood was among a small handful that stood out. Last year, one-third of the 241 real-estate transactions in the surrounding census tract were apparent "flips." That's unusually high: According to Teranet, the average rate for the City of Toronto last year was 8.5 per cent for condos, and 7 per cent for all housing types. A small number of census tracts exhibited even higher flipping rates than did X2's neighbourhood: In the area around Yorkdale Mall – a sprawling retail complex situated along Highway 401, a crucial arterial thoroughfare – it reached nearly 50 per cent last year. We hypothesized that much of the flipping in these census tracts involved newly constructed condos or housing projects. Further investigation confirmed our suspicions, at least when it came to X2's census tract: Virtually all the flipping there occurred within X2 itself. Although speculation is often discussed, it is rarely defined. This week the Toronto Real Estate Board reported that homes selling twice "within a short period of time" represented a "very small share" of the total market. It defined a "short period" as one year. One-year flipping rates are considerably lower than comparable two-year rates. Given the high costs associated with real-estate transactions, we think two years is a more appropriate time period – a view confirmed by some experts we consulted. "Two years, to be changing in and out of a house, is a bit irregular," explained Beata Caranci, chief economist at TD Economics. "When you look at people's life cycle in a house, you're generally looking at periods in excess of five years and, on average, about seven years." The Globe collected additional data on sales and leasing transactions and ownership within X2, from various sources, including the Municipal Property Assessment Corp. and Teranet. 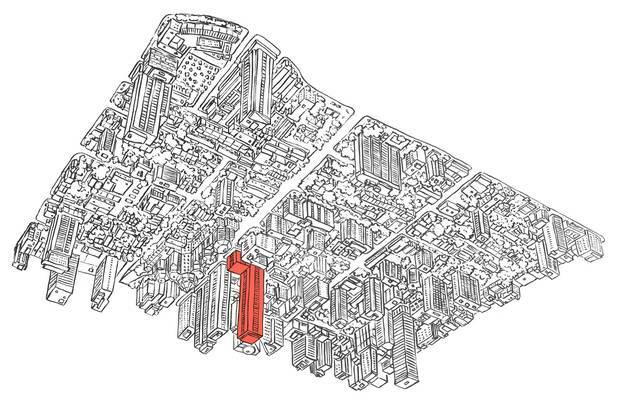 The resulting database showed steady, significant increases in sale prices and rents, and indicated that the building is owned mainly by investors. X2 represents a tiny fraction of the average of more than 15,000 new condo units added annually to Toronto's housing stock in recent years. These results should be regarded as an intriguing, but far from exhaustive, snapshot of the condo frenzy that has left an indelible mark on the city's skyline. Toronto’s five decades of condo growth, mapped It’s been 50 years since the emergence of condos began to redefine Toronto development as we know it. Jeff Gray and John Sopinski explore how the city adapted to changing eras in the housing market, and was in turn transformed. Ontario’s rent and housing reform: 16 big changes, explained in charts In April, Ontario announced it would widen its rent-control rules and take pages from B.C.’s playbook to bring skyrocketing housing prices down. Here are the highlights. How to fix Canada’s red-hot housing markets: A guide to what’s happening, what’s been proposed and what buyers can do Ontario’s latest changes are only the latest attempt to bring skyrocketing Canadian housing prices back down to Earth without ruining the economy in the process. Get caught up on the issues.